One day we ran out of alfalfa and the milk tasted bitter or ‘goatie.’ What was the meaning of that? Don’t run out of alfalfa. One time I visited a dairy goat cooperative in Dolores Hildalgo, Mexico and their goat’s milk tasted way more better than mine. Why? Their alfalfa was harvested from soil unchanged since Cortez and the Aztecs time. Dairy is like wine; the taste is determined by the soil. This is also true for eggs, meat and poultry. My wife and I moved to Sao Paulo in 1975 only a Jack N Box, no MacDonald’s. Why? The red clay soil of Brazil made the grass fed beef taste un-MacDonald like. The crime of the 20th century was the pasteurization of dairy in 1912; for over 100 years Americans in particular have not had a drop or curd of nature’s most digestible, assimilate-able, protein food source. 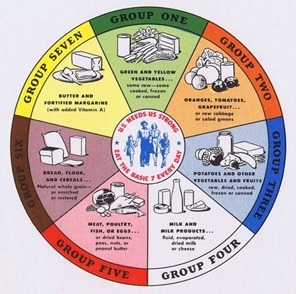 GROUPS Four and Seven were essentially removed from our diet by WWI, while Six and Five fell to the industrialists after WWII. The USDA and Monsanto are busy killing off One, Two and Three. UHT (Ultra-high temperature processing) 135C (275F) milk, soy milk, juices, even wine, 1970’s. Most important lesson sustainable family farming is doable, enjoyable and can be very profitable. My wife, Shelby Ann Brown and I, discovered, by forsaking our lives as Inhabitants of the Town, to become farmers, goat farmers, but farmers none the less, and live lives, like those of the Country, that everything Adam Smith said about agriculture in his seminal work the “Wealth of Nations,” was just as applicable in 1998 and 2008 as it was in 1776. As Oogwei said to Shifu, in Kung Fu Panda, “There are no accidents, only reasons,” and God, my higher power and most assuredly Shelby, hadn’t dragged us to the most eastern tip of the Texas Panhandle in the summer of ’98, for no good reason. Follett, Texas, the home of Shelby’s ancestors, was at the crossroads of history, in the American West. The Spanish conquistador Coronado, in 1500 came north from Mexico, through New Mexico and West Texas, then hung a right at the Canadian River. Two hundred fifty miles later, after enduring 27 mph average daily wind velocities, ambushes by the Native American crowd and not spotting a single solitary bush or tree along the way, Coronado threw up his gauntlet, and declared the Texas-Oklahoma “High Plains” to be the “inland desert of the Americas.” He then turned his expedition around and marched back the same 1,500-mile way he had come. After the Civil War, Colonel George Custer came to Follett and lost his scalp while trying to massacre those pesky Native Americans, the pioneer cowboy-farmers solved the problem themselves by setting the prairie grass on fire, starving the buffalo and forcing the Native Americans to follow their food chain farther west. Shelby’s mom, dad, aunts and uncles had long ago abandoned the place, haunted by childhood memories, of being at ground zero, for the 1937 ‘Dust Bowl.’ Therefore, in the summer of ’98, Shelby and I pretty much had the place to ourselves. There was circumstantial evidence, with Christian radio, heard on all FM/AM frequencies, as well as in the grocery store, that not everybody’s higher power had left town. 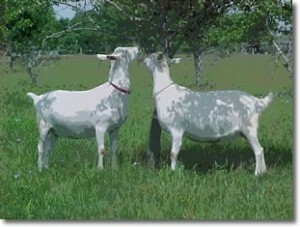 Our game plan was to raise Black Boer Goat breeding stock and sell the goats for an average price of $500 apiece. This contrasted with the market price of $60 for an ordinary meat goat. The theory was, selling each of the two kids, from 120 adult nanny goats, would get us a $10,000 monthly income and achieve our goal of replacing our former urban professional salaries. After two years, we former inhabitants of the town had received less than a $1,000 portion of it manufactured and prepared for immediate use,” from the sale of our rude produce, Black Boer Goat breeding stock. I therefore dusted off Ted Levitt, the Father of Marketing’s Market Myopia axiom, “know what business you are in,” showed it to Shelby and she moved the goats and us back to Houston. Coronado’s past life regression chant of, “I told you so,” was audibly visible in the extended side mirrors of our, dually-diesel, F-350, crew-cab, truck. Shelby went back to work to support the 15-acre homestead in Follett, 650 miles from our new 18 acres, farm-to-market, location, 50 miles southwest of Houston. I laid around the ratty old trailer-house all day, reading Adam Smith’s “Wealth of Nations” and rethinking just how farmers were supposed to make money in the food business. Adopting the philosophy – “if you want to learn something, teach it,” – I taught Goat Farming 101: Urban Income, Rural Lifestyle, six times a year for six years, averaging 25 farmer ‘wannabes’ each session. BUT! It wasn’t until the sixth year, May 2006 to be exact, that I was able to stand in front of the class and honestly say, that yes; it is possible to have a rural lifestyle and earn an urban income of $10,000/month, from only fifty goats on five acres. AND! It took two years in Follett, plus six more years in Houston, Shelby’s $300,000 net worth, another $100,000 on MasterCard to figure out how those of the Country could make money selling rude produce to the inhabitants of the Town. 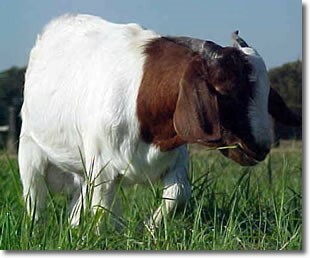 Architects are trained to use the iterative process (a fancy way to say, try and try again) for problem-solving, and once again I took Shelby’s money, to this time, buy 44 Nubian billy goats, for ‘Eid,’ the Moslem holiday, where traditional ‘Allah fearing’ families sacrifice a lamb or goat. This time was supposed to be different and it was, this time Shelby bought dinner for the entire Palestinian community of Houston. BUT, the silver-lining behind this iteration of “The Great Commerce of every Civilized Society carried on between the Inhabitants of the Town and those of the Country,” was the discovery that Mrs. Kettler, the owner of those Nubian bad boys, had been selling raw goat’s milk to David Keresh’s Branch Davidians, in Waco as well as the citizens of Dallas, a two-hour drive away, for $7 a gallon. 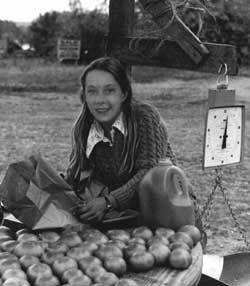 The apple had fallen from the tree, the way for those of the Country to make a six figure income was to sell their rude produce to the Inhabitants of the town for at least $12 a gallon. 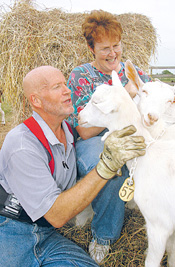 Shelby liked that idea and went all the way to Tennessee to bring back four pregnant Saanen nannies, built a $30,000 dairy, TB tested our 100 ruminants to comply with every Texas Department of Health regulation in order to obtain the Grade ‘A’ raw dairy license, that Mrs.Kettler and others sold their raw milk without. No sooner than we were up and running, we noticed that the Houstonians were not coming to the farm for milk more than three times, at most. Why? Too far. Mother Necessity, made us take our rude produce to the farmers’ markets in Houston and thus, we became farmers, manufacturers and merchants. The parking lot of 2100 Richmond Avenue became our friend because we could sell everything we had to sell in two hours, while educating the public on why they had to pay ten times as much money for our rude produce as the store bought milk. 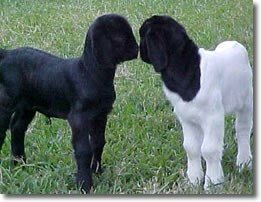 You can raise six lambs, six goats or one cow; on one acre of good pasture land. You can raise the lambs, the goats, the cow plus 100 chickens on an organically composted acre through the use of multi-species and rotational intensive grazing techniques. That four legged Nubian maiden can produce 2,000 pounds of milk in a years’ worth of ruminating around that little old acre of a pasture. At an average per pound price of say $2.50 a pound, the farmer if he sells direct to the consumer, gets to take $5,000/yr. back home, to his wife and kids. Now, I know what you are saying, “tegory, that can’t be true, you are just making that, up.” I know it is difficult, and if I threw in the additional 2,000lbs. of sheep’s milk Greek feta, another 2,100 lbs. of cow’s milk at $1.19/lb and 100 chickens at $4/lb, the total $15,700 per acre, per year, would be just too big a number, for you to swallow, but it’s true. When I showed my proposal to Prof. Jefferson Wang’s Zhengzhou University MBA class they were more than somewhat skeptical that any Chinese mother would pay a jin more than 2.5RMB (35 cents) for a liter of milk and there wasn’t a snowballs chance in Hainan they were going to pay anywhere near my suggested price of 40RMB ($5.85) per liter. I told them that there wasn’t a snowballs chance, even in Detroit, that Americans were going to pay $30,000 for a fully loaded, Buick sedan (the most popular car in China). How do you get the Chinese mother to pay 40 RMB/liter for milk, when she currently wouldn’t give you a ‘jin’ more than 2.5 RMB/liter? Easy, repair the link between the dairy and the single child mother. An internet billionaire (Netease) is raising 10,000 hogs on webcam because China consumes 55% of the world’s pork but they don’t trust the local supplier. The mother will buy the milk from New Zealand for her baby and drink made in China for herself. The Chinese mother will pay, once she sees the quality in what she is buying. 2009 was also the year that China passed up Japan as the world buying leader in the luxury goods market. I experienced the buying power of the Chinese when I offered to buy lunch at the best restaurant in Gong Yi, a small city west of Zhengzhou. I changed my tune when the taxi driver told us that the BEST restaurant in this small burgh would cost 5,000 RMB. I asked my friend, now who would pay $750 for lunch in Beijing or Shanghai, let alone Gong Yi. “Rich Chinese don’t care about money,” was his reply. We don’t need to sell all the mothers in China on the health benefits of raw goat’s milk, only the well-educated 1%. The mother of a newborn, in Houston, who raided our refrigerator at 3am couldn’t afford to buy a $75 lunch, let alone a $750 one, but she left a $10 bill in the fridge door, for a half gallon of milk for her baby. Exactly as Adam Smith said in 1776, “The Great Commerce of every Civilized Society Is that carried on between the Inhabitants of the Town and those of the Country,” and by visiting eight markets a week, holding cheese-making and goat farming classes, that included farm visits, were we able to restore the customer relationship between the farmer and his community.” America’s agricultural system is a complete failure, fiscally and morally bankrupt. Farming no longer provides revenue and wealth creation for the individual farmer, and he is forced to turn to crime, industrialized agriculture, which depletes soil quality and ends up being complicit in poisoning the nation’s food supply. So why is our system of agriculture, “the sole or the principal source of the revenue and wealth of every country,” broken? Why are we the most malnourished developed nation on earth? Why hasn’t the family farmer made any real money since WWI? Why are two-thirds of Americans obese? Why are Romney’s 47% poor in health and wealth? Because 99% of USA farmers left the country to be merchant-manufacturer-inhabitants of the Town. Actually they took the town with them on their way to the big city.